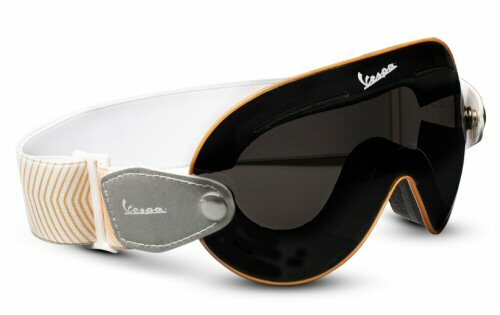 Released with the Vespa Elettrica, these goggles are a kind of Tron inspired riding accessory. Polycarbonate lens with hypoalergenic foam around the lens and elastic nylon band with adjustment. Metal buttons affix the band to the goggles. AF1 Racing Austin Vespa Apple Sticker Durable outdoor UV coated vinyl decal, measures 3" x 3"